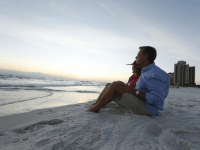 During your vacation to Hilton Sandestin Beach, take some time to explore the local area. Whether you’re interested in shopping, hiking, dining or more, you’ll find plenty of things to do in Destin, Sandestin, 30A and beyond. 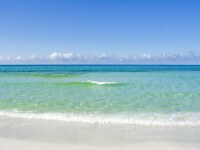 Hilton Sandestin Beach is conveniently located between the area’s best shopping destinations. Take our complimentary tram from the resort to The Village of Baytowne Wharf, a Destin-area shopping and entertainment center. There you’ll find boutiques offering shoes, clothes, home goods, accessories and more. 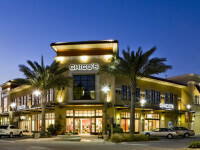 Additional stores can be found at the nearby Silver Sands Premium Outlets, including Banana Republic, Coach, Polo Ralph Lauren and Saks Fifth Avenue Off 5th. Guests of Hilton Sandestin Beach enjoy a complimentary shuttle service to and from Silver Sands Premium Outlets, and an exclusive shopping pass for both Silver Sands Premium Outlets and nearby Grand Boulevard. Nearby Destin has plenty of things to do and places at which to play. At Hurricane Lanes you’ll find bowling, pool tables, an arcade and ping pong. You can also head to Big Kahuna’s Water and Adventure Park, which has more than 40 water attractions including slides, pools, waterfalls and more. The Track Family Recreation Center in Destin is also great for the whole family — with a ferris wheel, go-karts, mini-golf, bumper cars and boats and more. We offer plenty of on-property dining options, and are also close to more than 200 great area restaurants just outside our door. The Red Bar in Grayton Beach is a favorite among locals and visitors alike, with delicious seafood and southern classics. The restaurant has eclectic décor and a great lineup of seasonal live music at night. Many also love The Bay in South Walton, a family-friendly restaurant with seafood, sushi and a great selection of cocktails, beer and wine. Aptly named, the restaurant sits on Choctawhatchee Bay and offers diners a great view. For those who love the great outdoors, head to Topsail Hill Preserve State Park and check out the trail system that extends over 15 miles. The park is about a 10 minute drive from the resort. Guests can travel in their own car, or talk to our concierge to set up transportation service (for a fee). Topsail Hill is home to two of the area’s 15 Coastal Dune Lakes. These rare natural wonders can only be found in a few other locations throughout the world — Madagascar, Australia, New Zealand and the Northwest Pacific Coast of the United States. From Hurricane Lanes in Destin to Baytowne Wharf and more, there are great places to see and many things to do in Destin, Sandestin and the surrounding towns.